The firefighter in charge of overseeing the "stay-put" policy at Grenfell Tower has admitted that he was "out of his comfort zone" and making decisions he had never made before. Michael Dowden, watch control manager and in charge of the response to the inferno for the first hour, did not abandon the policy and order an evacuation or a change of advice to residents calling 999 for help. A failure to evacuate immediately by the London Fire Brigade may have "made all the difference between life and death", an official report has found, and the controversial policy had "substantially failed" by 1.26am when flames could be seen to have reached the top of the 23-storey tower block. 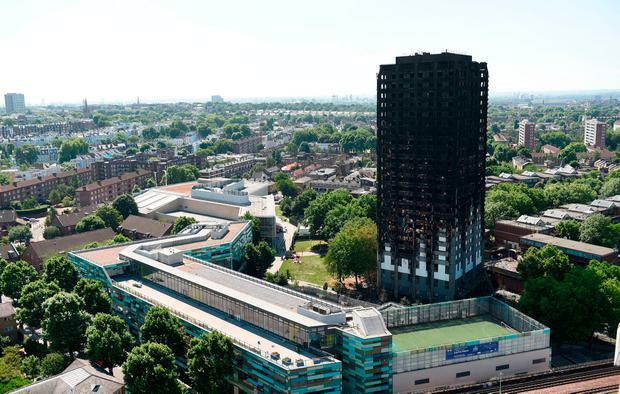 The brigade said earlier in the inquiry its stay-put advice was suitable for the original design of Grenfell. However, "maintenance programmes and refurbishments over the years" had undermined the safety of the building, it said.